How should Catholics vote this presidential election? It depends on how you define your faith. If it is a matter of anti- abortion sentiment and adherence to church teaching then the choice is obvious. Mitt Romney deserves your vote. The abortion issue is very real. New technology shows that fetuses are sentient at 12 weeks now, can feel pain, are one third of the way to being human beings. Aborting them has become less and less popular because of this new medical evidence. It is becoming less and less tolerable for fair-minded people to accept abortion. If however, you believe in a lot of feelgood social justice issues, the rights of the government to interfere with your right to not pay for contraception as part of your health plan, then vote Barack Obama. There has been a lot of criticism of the church this election period. Sure, the Catholic Church is not a perfect vessel. It has more flaws than a cracked pitcher and more problems than a busy New York psychiatrist to deal with. But it is still a magnificent vessel, and almost alone among contemporary religions, it is holding its own and even gaining in America. The reason for it that is simple. It stands for something, for a value system thousands of years old that has retained its essential inner core irrespective of the ebb and flow of contemporary events. There have been more splits in the church and schisms over the generation that we can count. Yet despite all that Catholicism has continued to prosper and expand. It is only a few generations back that Catholicism was the focus of the Know Nothings and Catholics, especially Irish ones, were considered the devil incarnate. Now six of the Supreme Court are Catholic, as are the two vice presidential candidates. It was an inspirational moment and no other religion could have pulled it off. So why at this high point of our influence should we turn our back on our church, our faith, the faith our fathers bore and passed on to us? 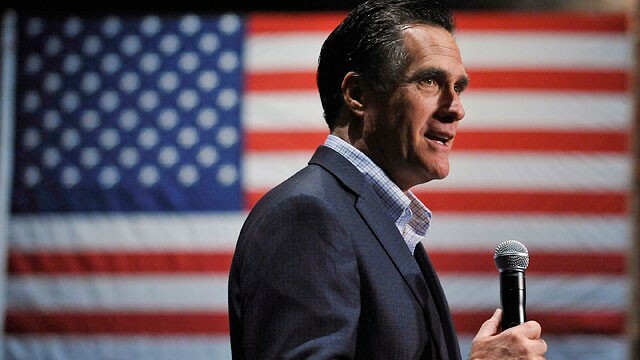 Romney recognizes and acknowledges that power and his responsibility to it far more than Obama does. Which is why Catholics should vote for him.